Defender Supply is the one stop shop for Law Enforcement Ready-to-Roll vehicle packages. We’ve got what it takes to be your preferred parts supplier and up-fit facility. We are Master Distributors for all major emergency equipment manufacturers, allowing us to meet your needs and maximize your budget. All police vehicle equipment installations are provided by our Certified Master Technicians, ensuring worry-free operation. For your convenience, we have listed Ready-To-Roll packages for some of our most popular law enforcement vehicle configurations. Our easy to use system allows you to take delivery of a vehicle, insert the key, and hit the streets. Every package can be altered and customized to fit your department’s specific needs including radios, graphics, and paint schemes. It’s simple: regardless of your needs, we can do it. Defender Supply’s mission is to help law enforcement and public safety agencies reach their maximum potential by providing the highest quality turnkey police vehicle packages and police equipment. We pride ourselves on competitive pricing, one stop shop convenience, and best in class customer service. We don’t care about being the biggest. We care about being the best. What makes Defender Supply different than other upfit and law enforcement supply companies? We are focused on customer service throughout the process; even after the cars are delivered. To us, that means providing the customer with the highest quality build on every job, big or small. Our complete understanding of vehicle dynamics and operating systems allows us to design and up-fit police vehicles to your specifications. Our Certified Master Mechanics have a complete understanding of police vehicle operating systems and the performance effects of optional emergency equipment, greatly reducing the risk of build errors and costly down time. As the premier emergency vehicle provider in the United States, our industry experience gives us a unique advantage in maximizing budget dollars and building cost effective law enforcement and security fleets. The quality of our installation begins well before the technician starts the build. We continually review the build beginning with the first contact with the customer to make sure that the unit is to the customer’s exact specifications, that the equipment is designed to fit the vehicle itself, and that all the items will function with one another before any work is performed. Once the up-fit is complete, the technician signs off on the work order and then the up-fit is reviewed and signed off on by a QA director (a group of people that we have designated as having the experience necessary to ensure the vehicle is built per the specifications of the work order and with quality above expectations). Quality Control is extremely important and is a primary avenue for growing our business. We have found that word of mouth in the public safety industry is very powerful and that our customers are passionate about their vehicles and the equipment installed in them. In the rare instance an issue arises with the work we have completed on a vehicle, the technician who installed the equipment in the vehicle is responsible for the warranty of their work, hence increasing their interest in getting the vehicle up-fit right the first time, every time. We take the warranty of our work very seriously and do everything in our power to quickly solve any issues with our work before it leaves our facility. Through our people, Defender Supply has established itself as a respected and progressive group in a very competitive industry. We have proved through the years that it is possible to combine a personal touch sales effort with a quality driven installation that concludes with the ultimate goal of complete customer satisfaction. Our technicians are all either EVT Certified or are in the process of working towards certification. Each Technician takes complete ownership of their builds. This responsibility covers not only the visual aesthetics of the completed installation but the unseen workability of each and every component. We understand the importance of building tools for the law enforcement profession. You, as the customer, have a job to do and your tool of choice should never alter your ability to complete the task safely and effectively. Eric co-founded Defender Supply in 2010. Eric’s background in Operations, Supply Chain Management, and eCommerce has enabled our successful entry into three distinct vertical markets. His commitment to best-in-class quality and unmatched customer service has driven Defender Supply to a leading position in the public safety industry. Under his leadership, the story of Defender Supply continues to be one of success, innovation, and above all, of satisfied customers. He has a B.S. in Mechanical Engineering and an M.S. in Management Information Systems. 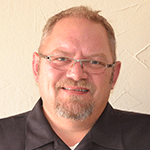 In 2006 Bryan joined the dealership group directly from managing director of a steel fabrication company specializing in the design and development of specialized parts with unique applications. Law enforcement vehicles and up-fit quickly became the direction of the group. Under Bryan’s leadership this group experienced great growth and became Defender Supply in 2010. 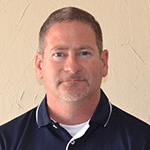 Bryan is a firm believer in integrity, quality and complete customer satisfaction. Mike Hewitt has been in the law enforcement supply industry since 2001 and is an expert on Emergency Vehicle Warning products, Emergency Vehicle Lighting and Audible Equipment, and Emergency and Fleet Vehicle Sales. 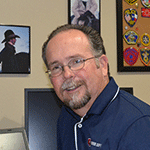 He previously worked in the reprographics industry at Xerox Corporation and served in the military for eight years. 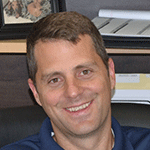 His sales and military background have made Mike a valuable asset to Defender Supply. George has been an active police officer for over 28 years and has won several awards over the years including a Life Saving Award, Above and Beyond the Call of Duty, a Letter of Merit for outstanding service and commitment to duty, and Officer of the Year. When not working at Defender Supply, he continues to serve as a police officer. Matt Knight managed one of the top 100 Ford dealerships in America and received Ford’s ONE Award for the top 1% of managers in customer service as well as the President Award for sales, service, and customer service. 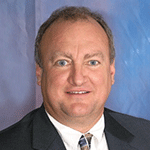 He comes to Defender Supply with an extensive background in the automobile and motorcycle industries. He has a B.S. in Business Management from the University of North Texas.